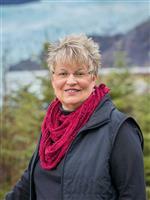 Thinking About Buying A Home in Juneau, AK? Need help finding your dream home? Whether you are moving down the street or relocating, I have the local expertise and resources to help you find the perfect home for you and your family. I work closely with my clients to understand your real estate needs and goals to help you find the best home at the best possible price. Featured Listings - Take a look at some of my featured listings. Call for a complete list of all the properties that match your specific needs. home buying and selling needs in Juneau, AK.